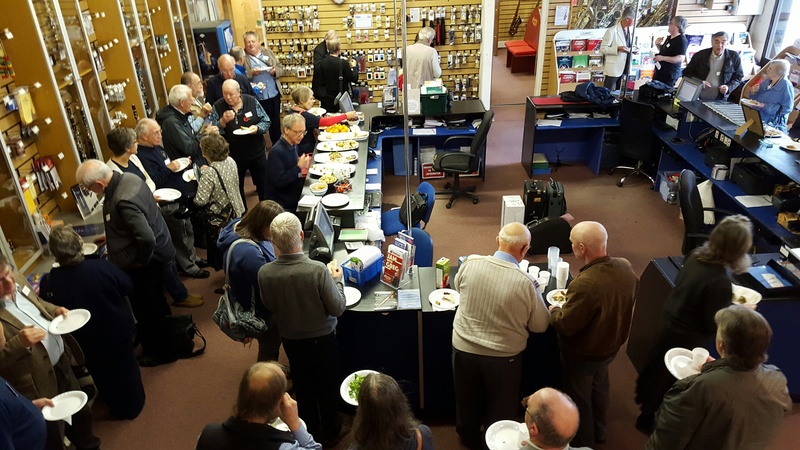 The National Association of Musical Instrument Repairers (NAMIR) held their Annual General Meeting at Dawkes Music on Sunday 1st November. Some of our repairers and spare parts experts attended and let us know what happened. 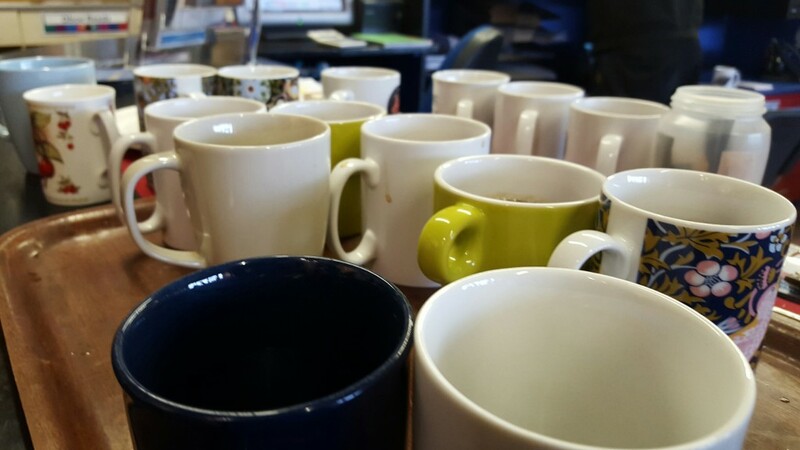 The day started with a meet and greet session over tea and biscuits, where all repairers had a chance to meet one another and talk about their interests, situation, specialisations, location and experiences. It was great to chat to other repairers, discussing tips and equipment, and forming bonds and new contacts. The AGM then began. Our Workshop Manager Abi Taylor gave an inspirational speech of her story: from young bassoonist with a love for instruments and how they worked, to gaining a apprenticeship at Dawkes, and then onto becoming our Workshop Manager. She also gave a history of Dawkes Music, from its humble beginnings as Jack Dawkes’ workshop, through starting to supply parts, and then growing into where it is today with plans for our 50th Year Anniversary in 2016! Roger Price, an experienced member of NAMIR, was the guest speaker who talked about the importance of apprentices and keeping the trade alive. We then all had lunch together and had the opportunity to chat with some incredibly knowledgeable repairers. It was great to meet new people who are in the same business as us and we have gained some important contacts and fresh ideas. Everybody does things differently and I think we were all reminded to actively exchange this knowledge and spread the word of our expertise to keep this wonderful trade alive and ever changing and evolving. After lunch we gave a tour of Dawkes Music, showing all the different parts of our brass and woodwind warehouse. We gave a sneak peak into the vast jungle of tools, parts and supplies that makes up Windcraft. Repairs have always been at the core of the company and it was gratifying to let NAMIR into the very heart of the company and show our passion for the trade. As an outcome of the day several of the workshop technicians are now individual members of NAMIR (as well as members through Dawkes). In the future you might just see more involvement and collaboration with NAMIR and our colleagues from all over the UK.